Samsung has launched a new solid state storage drive called SZ985. It is an 800GB Z-SSD and is targeted towards the most advanced enterprise applications including supercomputing. It is also the company’s first Z-SSD product. The new SSD uses an improved flash technology called Z-NAND memory. 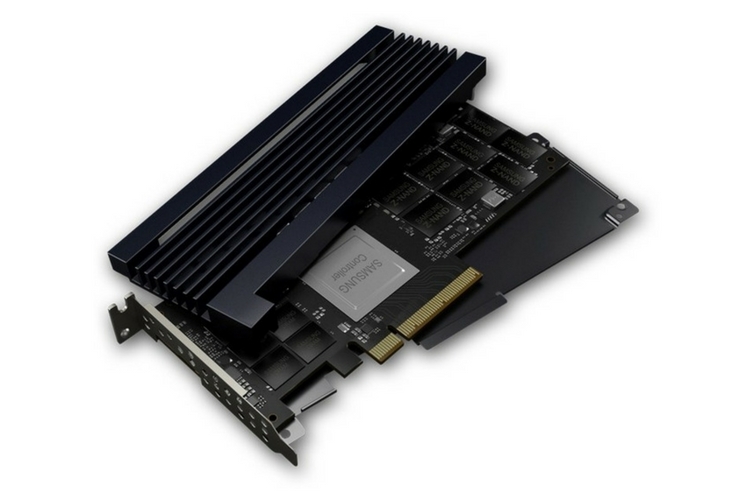 It is a high-performance enterprise NVMe SSD, and it directly competes with Intel’s 3D XPoint-powered Optane SSDs. According to Samsung, their new SSDs offer five times less latency than of conventional NVMe SSDs, and an effective storage solution, high-speed cache data, and logs data processing. These new SSDs also have ten times higher cell read performance than 3-bit V-NAND and contain a high-performance controller and 1.5GB LPDDR4 DRAM. Although Samsung’s first SZ985 Z- SSD has the ability to deliver up to 750k random read IOPS, its write performance is capped at only 170k random write IOPS, which is not that impressive. And lastly, although we don’t have a launch date for the new SSDs, we do know that Samsung will present the Z-SSD SZ985 at the International Solid-State Circuits Conference next month. So, be sure to stay tuned for more info on this.